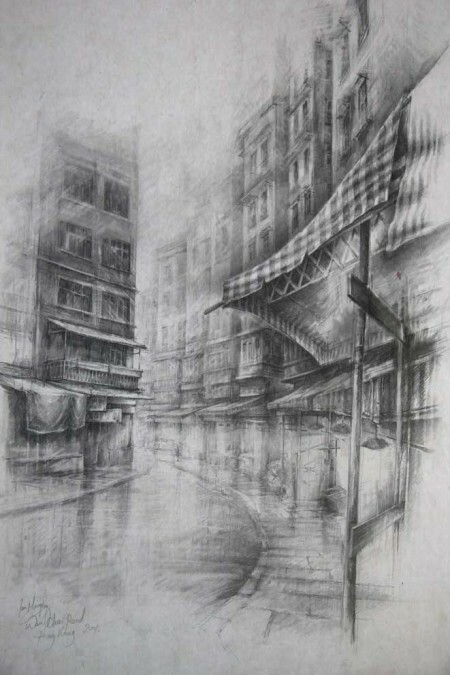 A soft and delicate graphite drawing from Ian Murphy’s small scale series of studies entitled “Hong Kong Streets”. This image uses the movement of the foreground canopy to direct your gaze towards the focal point of the study, the lane disappearing into the distance. Controlling the use of tone, Ian Murphy captures the sense of distance and the layered quality of tenement buildings.